Carpenter Body Company, also known over the years as the Ralph H. Carpenter Body Company, Carpenter Body Works, Inc., Carpenter Manufacturing Company, Carpenter Industries, Inc., and Crown By Carpenter, was a bus body manufacturer based in Mitchell, Indiana, United States. 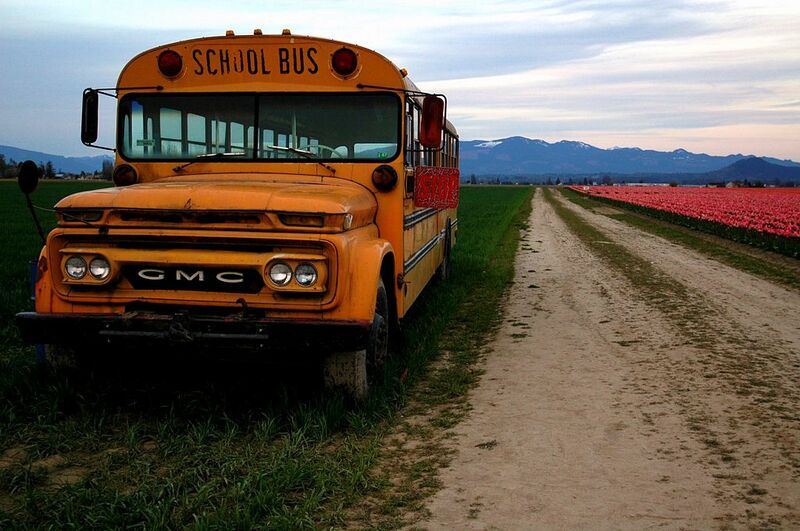 The majority of Carpenter bodies were used for school buses. 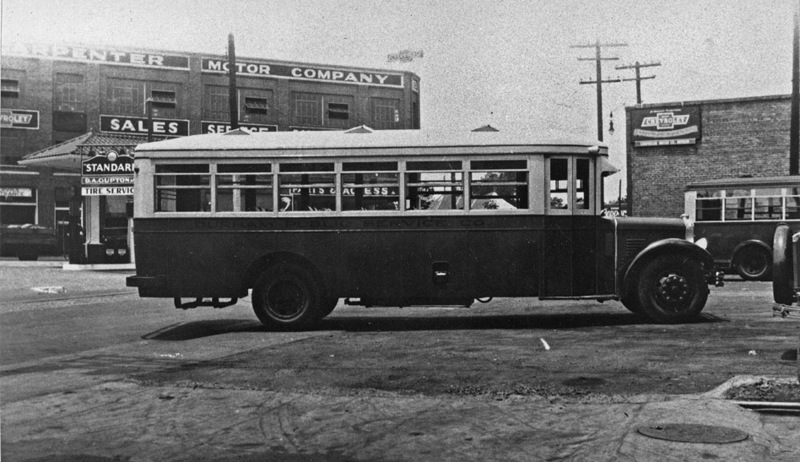 Founded in 1919, Carpenter produced its first bus in 1923. 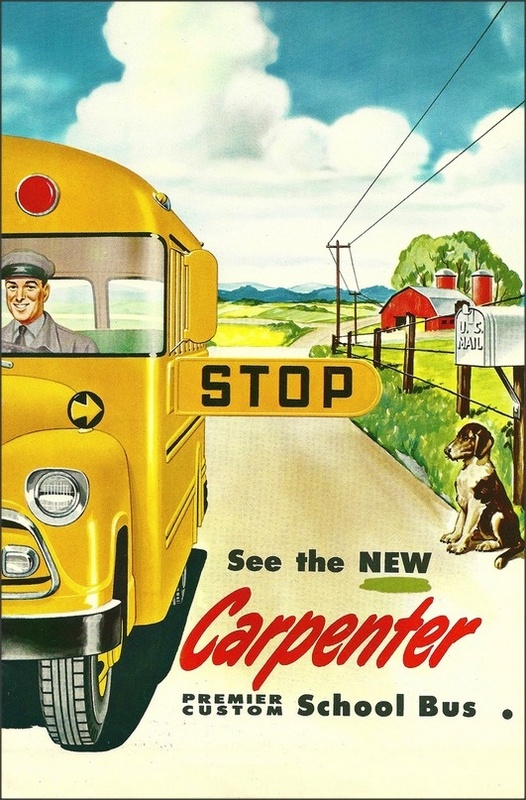 Carpenter’s post-World War II success would lead it to become one of the “Big Six” major manufacturers of school buses in North America. After years of declining market share, Carpenter was closed in 2001 by its parent company, Spartan Motors. 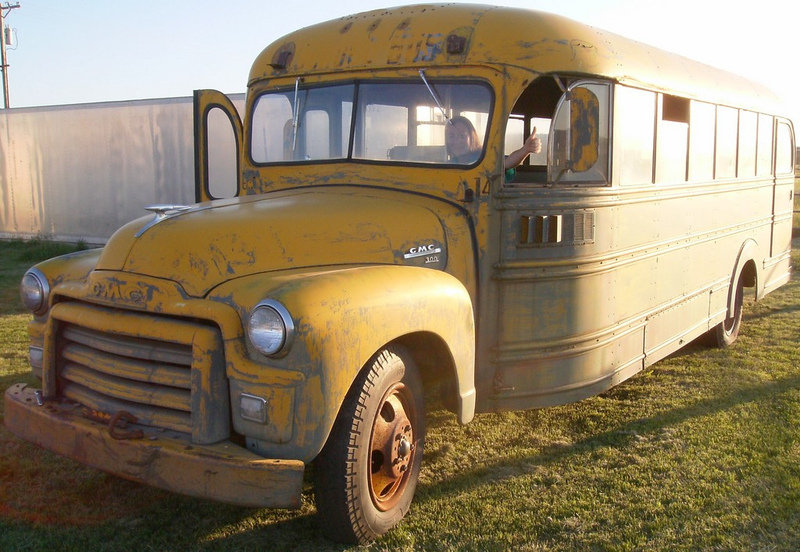 1955 Carpenter school bus with GMC chassis. Carpenter was founded in Mitchell, Indiana in 1919 by Ralph H. Carpenter, a blacksmith by trade. He began his career building hauling wagons for two cement factories located near his southern Indiana hometown of Bloomington. As his business grew, he began to expand into building horse-drawn “kid hacks” with wooden benches to transport children to school. As horse-drawn wagons became obsolete, he adapted wagon bodies for automobile chassis. Carpenter’s first true school bus was built in 1923. The first stop arms used on these buses were in the shape of a clenched fist with the index finger painted red. A combination of steel and wood replaced all-wood construction, and in 1935, a change to all-steel construction was made. 1960s Carpenter school bus with GMC chassis. On March 12, 1956, a fire broke out inside Carpenter’s Mitchell manufacturing plant. The plant was mostly destroyed. With the help of factory workers, the factory was rebuilt and expanded in just 89 days. During the reconstruction, some workers worked without pay until later compensated. Throughout the next twenty years, the business prospered and Carpenter became one of the “big six” major school bus body builders in the United States, competing directly against Blue Bird, Superior, Thomas, Ward, and Wayne. An early 1990s Carpenter Classic conventional school bus with Ford chassis. 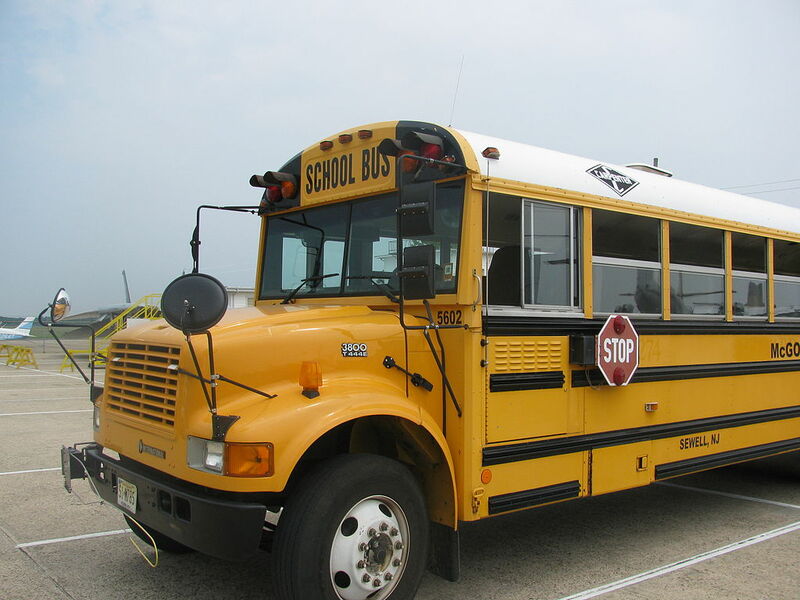 A mid-1990s Carpenter Classic conventional school bus with International 3800 chassis. As the 1970s turned into the 1980s, a critical factor affecting school bus manufacturing was declining student populations; the baby boomer generation that had attended schools for the past 25 years were now on the verge of all completing their secondary education. Overcapacity and lowered demand in an bus manufacturing industry was coupled with the unstable economy of the time. The company unsuccessfully attempted to diversify into the small transit bus market. By mid-decade, Carpenter had entered into Chapter 11 bankruptcy. Salvation came to the company in the form of an Indianapolis-based industrialist, Dr. Beurt SerVaas, who led a refinancing and revitalization program to attempt to restore the role of Carpenter in the national school bus market. 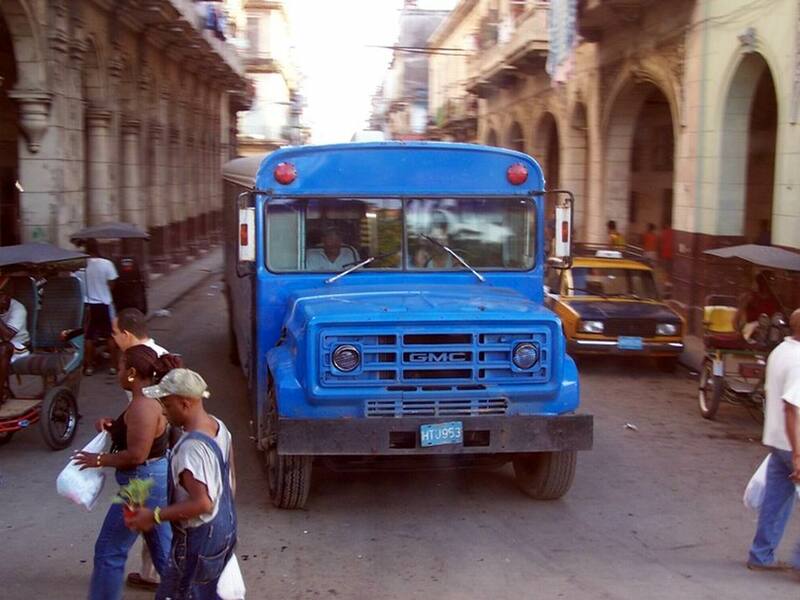 Major concessions came from the labor force and production of school buses continued. During the 1980s, Carpenter would also make major updates to its product lineup. Carpenter’s conventional-style school bus (the Classic) underwent body revisions in 1984 and 1986. While the Cadet Type B was one of the first small school buses (introduced in 1969), it was not until mid-decade that the company developed a Type A school bus (the Clipper, later the Classmate), the last among major manufacturers. The Corsair transit-style school bus, in production since the 1960s, was retired and replaced with the Cavalier. In 1991, the Cavalier was replaced by the Counselor FE and the Coach RE; the latter marked the beginning of the relationship of Carpenter with Spartan Motors. Early in the 1990s, the company gained an additional Type A bus as Carpenter began to distribute single rear-wheel buses manufactured by Quebec-based manufacturer Les Enterprises Michel Corbeil. Crown Supercoach II, a design acquired by Carpenter. In May 1991, Carpenter purchased the tooling and product rights of Crown Coach, a California-based manufacturer that had closed its doors two months prior. The original intent of the company was to restart production of the Crown Supercoach Series II under the Carpenter name, but the complexity of its unibody construction proved too expensive for mass production. Introduced in 1989, the Series II had been the most updated bus from Crown Coach in 40 years. While Carpenter would shelve the Supercoach II as a whole, it did not go unnoticed. 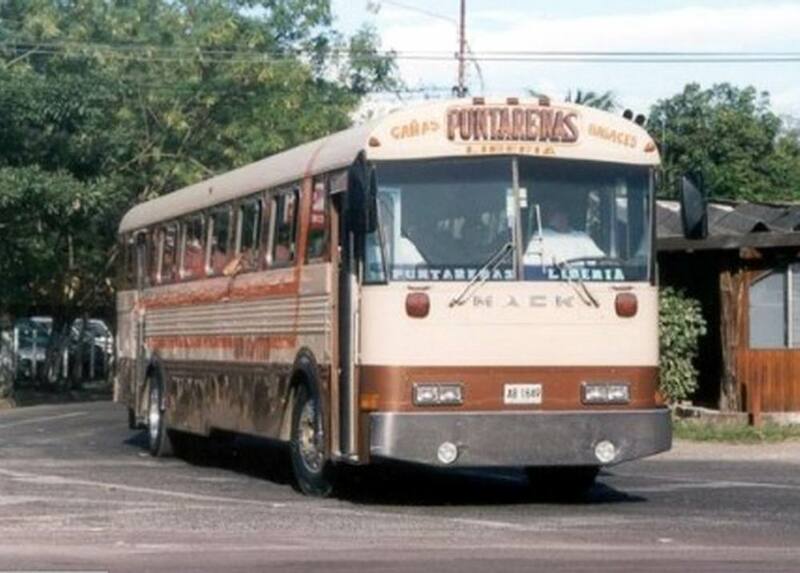 A number of elements were carried over for the bus that was brought to market in its place. Introduced for 1992, the Carpenter Coach RE (Rear Engine) also served as the replacement for the long-running Corsair. Far more modern than its predecessor, the Coach featured a Spartan Motors chassis. In 1994, the Coach was replaced by a rear-engined version of Counselor. As part of the 1991 purchase of the Crown Coach intellectual property, Carpenter inherited the rights to the Crown brand name. While the Crown-influenced Coach RE was not a success (its production lasting from 1992 to 1993), Carpenter used the Crown brand name in the late 1990s in an attempt to re-brand itself. Starting in 1996, all Carpenter buses were sold under the brand “Crown by Carpenter”. In 1996, Carpenter leased the former Wayne plant at Richmond, Indiana, relocating from its aged facilities in Mitchell. 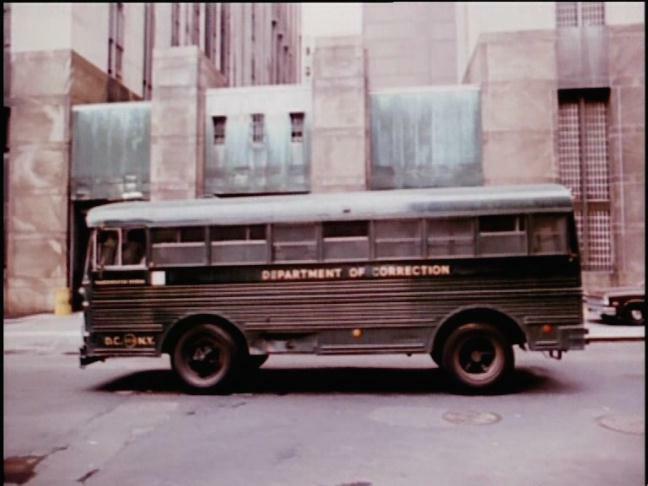 During this transition, Carpenter revised the body design of all of its buses. The changes included a new roof design with single-piece roof bows and revised rubrails (full-length upper rubrails). The Wayne Lifeguard would donate some of its parts to the Crown Classic, including its windshield, entry door, and driver’s switch panel. Crown By Carpenter sold a lineup of two Type A buses (Classmate SW/DW), one Type B bus (the Cadet), one Type C bus (the Classic), and two Type D buses (FE/RE, dropping the Counselor name). At the new location, Carpenter had the advantage of an established team. Both the leadership and workforce based at Richmond included a number of veterans of the former Wayne operations. As such, they brought considerable experience and knowledge of the plant and industry to the effort. In adapting to the equipment at the Richmond plant, a change to the techniques of welding the roof joints from the procedures used before at Mitchell would later prove vital in excluding Crown by Carpenter products from containing a crucial structural flaw. That situation was not envisioned by anyone then and would only become an issue nearly a decade in the future. One innovation that Carpenter introduced during this period was a change to the design of its “Crown RE”, mounted on a Spartan Motors chassis. The Crown RE was the first rear-engine school bus to feature an option of a conventional rear emergency door instead of an emergency exit window typical on rear-engine school buses. To make this possible, the floor was slanted up in the last few rows in order to gain height over the engine compartment. 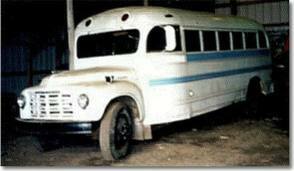 Crown by Carpenter also produced a delivery truck loosely derived from its “Cadet” Type B school bus line. In 1998, Carpenter was sold to Spartan Motors, a Michigan-based manufacturer of chassis for fire apparatus and high-end recreational vehicles. Starting in the early 1990s with the Coach RE, Spartan had gained entry into the school bus industry through Carpenter; a prototype built for Wayne Wheeled Vehicles never saw production. Nevertheless, major outside forces still to be faced were a supply of suitable chassis and the overcapacity of the body industry. After four years, Carpenter had decided to phase out the Crown name in favor of a return to just Carpenter. The company pared the product line from six buses down to two, as the company decided to focus its energy on full-size buses. In late 1999, Carpenter unveiled a new model series to their line called Classic 2000. The Classic 2000 series, a Type C conventional, featured an overall body redesign, including an entirely new driver’s area (based even more upon the Wayne Lifeguard), as well as new rub rail mounts, a fully vertical rear body, larger rear emergency exit doors, and new roof caps. The Chancellor FE, a front-engine transit, featured all of the structural changes of the Classic 2000. Intended as the flagship of the new Carpenter product lineup, the 2001 Chancellor RE rear-engine Type D (transit-style) school bus was built on a Spartan Motors chassis. Its chassis featured full air-ride suspension and double frame rails for a ride similar to a motorcoach; a flat floor inside the bus was created from the double frame as well as from the fitment of smaller-diameter wheels (19″ vs. the standard 22.5″). 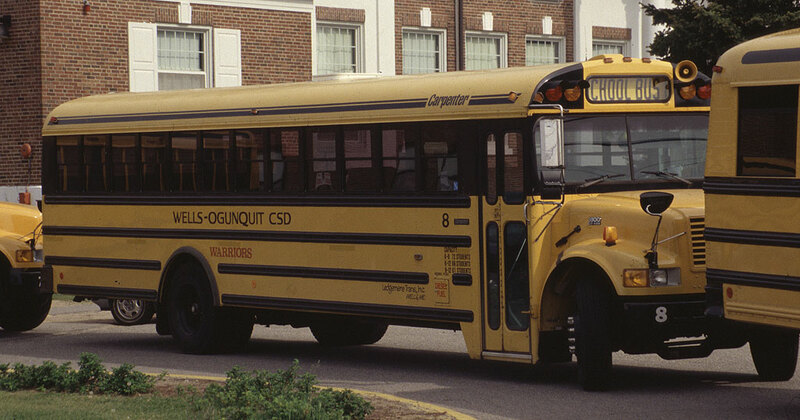 Unlike its Crown RE predecessor, the Chancellor RE did not feature an option for a rear emergency door, opting instead for a window emergency exit traditionally seen on rear-engine school buses. The combination of the Spartan Motors chassis with the Carpenter Chancellor body resembled (in some aspects) the massive workhorses built in California by Crown and Gillig in years past, many of which stayed in served for 25 years or longer. Only a single prototype was completed with a second bare chassis intended for display purposes. From all reports, the Chancellor was well-received, incorporating many components and features long desired by school bus operating and maintenance personnel. 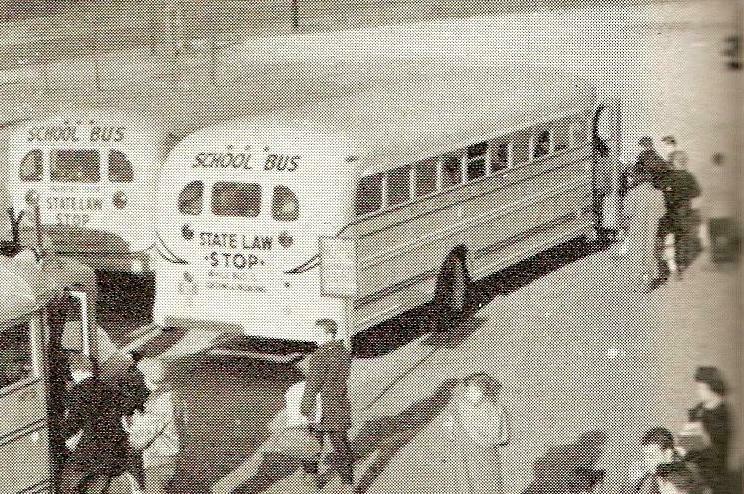 In the context of the school bus industry, the Spartan Motors chassis was in reality a premium option, incorporating many of the features long sought in a school bus. However, there were several downsides to this approach which proved fatal to the effort. As one might reasonably anticipate, the extra durability came with added cost. Also, Spartan had been serving lower quantity and higher margin markets for similar products used for high-end Class A motor homes as well as fire and rescue apparatus. Although Spartan had entered the school bus market through supplying Carpenter (for nearly a decade), their production facilities were not geared up to produce a large volume under low pricing pressures, even though their products would have proved more durable in the long run. As such, Carpenter was no longer able to compete with AmTran, Blue Bird, or Thomas on price. This was a familiar dilemma, the same one which earlier had helped seal the fate of the Crown and Gillig coaches on the West Coast, as well as the entry of competitor Blue Bird into the mass-transit market during the 1970s. It was also similar to the situation which faced HARSCO BMY (parent company of Wayne Wheeled Vehicles) operation some years earlier, where a lesser quantity of higher quality products (at a correspondingly higher price) had also been the plant’s historical output. Carpenter had been struggling for almost 20 years when it ended school bus production in 2001. During the economic times around the millennium, lower initial capital costs seemed to trump longevity as a selling factor. When it was time for purchasing decisions, financially pressed districts and contractors tended to select lower-cost products with shorter life cycles. Spartan Motors, by then the ⅔ owner of the company, did not see a solution to the market dilemma and felt the projected continued losses would exceed the value to their business plan, voted to end its venture. 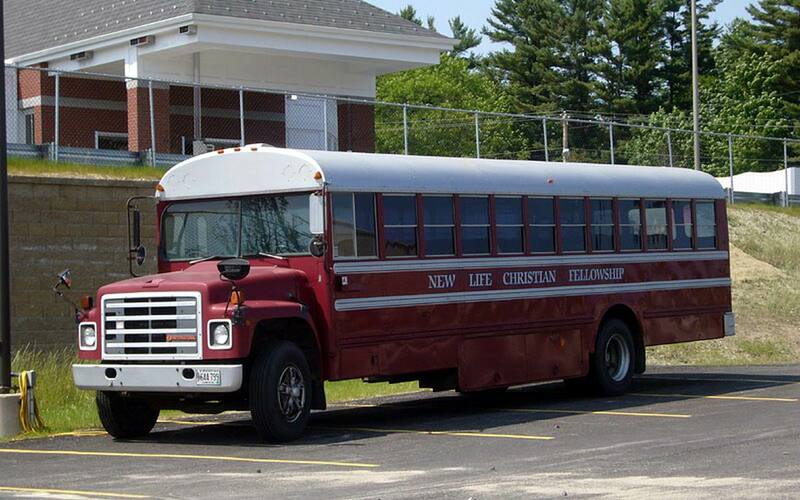 A late 1980s Carpenter school bus on an International chassis, now in use as a church bus. On March 20, 2003 in Alachua County, Florida, an 83-passenger Carpenter school bus rolled over onto its roof, causing the roof to collapse down to the seat level. At the time, no passengers were on board and the driver survived the accident. Later inspection of the vehicle revealed numerous broken and defective welds in the roof and pillar structure. Inspections of Carpenter school buses in various parts of the country revealed cracked and broken welds in the roof structures. The problem was not confined to Florida where it was first found. It was determined that the defective welds could cause the roof to collapse in the event of a rollover. Not all Carpenter buses had the broken or cracked welds. The problem was confined to buses built at the Mitchell plant prior to its closing in late 1995. Normally, the National Highway Traffic Safety Administration (NHTSA) would have conducted a full-scale investigation and if a defect determination were made, would have ordered the manufacturer to conduct a safety recall. However, since Carpenter was no longer in business, there was no one that NHTSA could hold accountable to develop a remedy for this problem. However, NHTSA was concerned about this problem, and issued several advisories regarding certain Carpenter buses. NHTSA has indicated that virtually all of the production of Carpenter and Crown branded products from the Mitchell plant could potentially have the same flaw. Due to differences in construction techniques, Crown by Carpenter and Carpenter buses built at the Richmond plant from 1996 to 2001 were not included in several advisories issued. 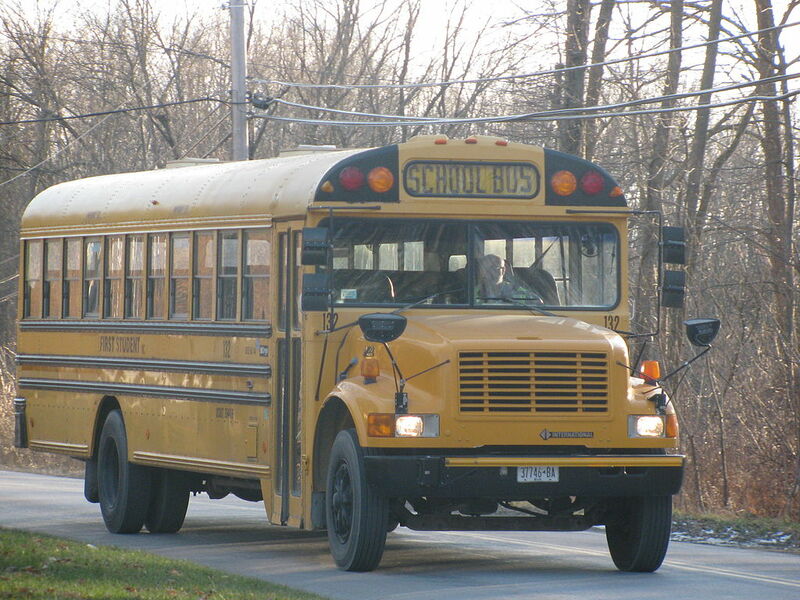 The School Bus Information Council offered additional information about Carpenter buses and the NHSTA advisory. 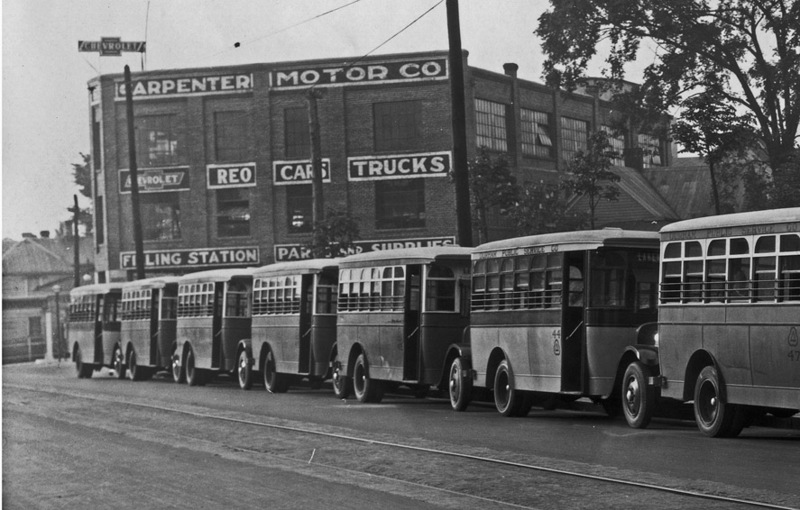 Carpenter produced a product lineup of both small and full-size buses. Like other school bus manufacturers, the company also produced commercial, shuttle, and transit bus derivatives of their school bus designs. The Carpenter Cadet, introduced in 1969, was one of the first Type B school buses; during the Crown by Carpenter era, a modified version of the Cadet was marketed as a delivery van. With the exception of “Classic”, its Type C conventional and “Coach”, its Type D rear-engine transit style (influenced by Crown Coach), most Carpenter school buses derived their model names from themes in education (Classmate, Cadet, Counselor, Chancellor) while many transit-style Carpenters derived their model names from common team names (Corsair, Cavalier). A 1936 Carpenter school bus, built on a Dodge chassis, on display at the National Museum of American History. 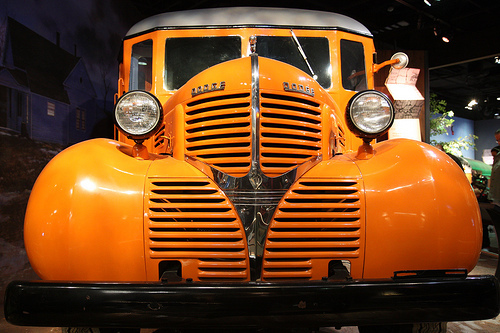 The Smithsonian Institution‘s National Museum of American History in Washington, DC has a thirty-six passenger school bus built by Carpenter Body Works in 1936 on a chassis made by Dodge in 1939. 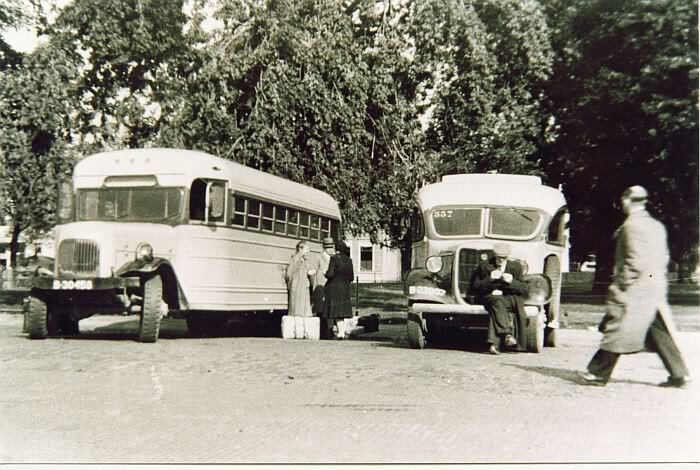 The bus carried students to the grade school in Martinsburg, Indiana from 1940 to 1946, and was owned and driven by Russell Bishop during that period. It was later used as a traveling grocery store until 1962. 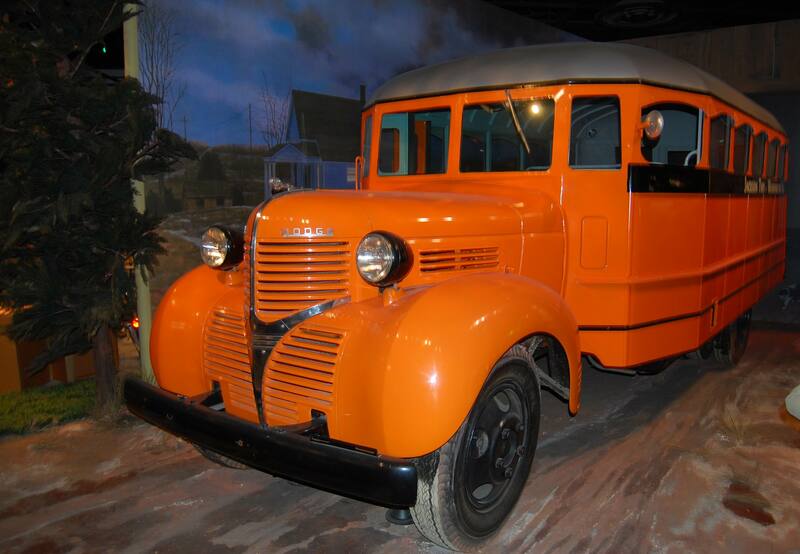 The bus has a streamlined steel body painted double-deep or “Omaha” orange with black trim. It was restored by Carpenter in the early 1980s under the supervision of Ollie Eager, who was Carpenter’s plant manager in 1936, and John Foddrill, who worked in the Carpenter plant in 1936. The bus has replacement seats that do not match the originals exactly. The originals were black upholstery.